Welcome to the new and beautifully constructed home, which is ready to move in with CITY WATER and SEWER!!! 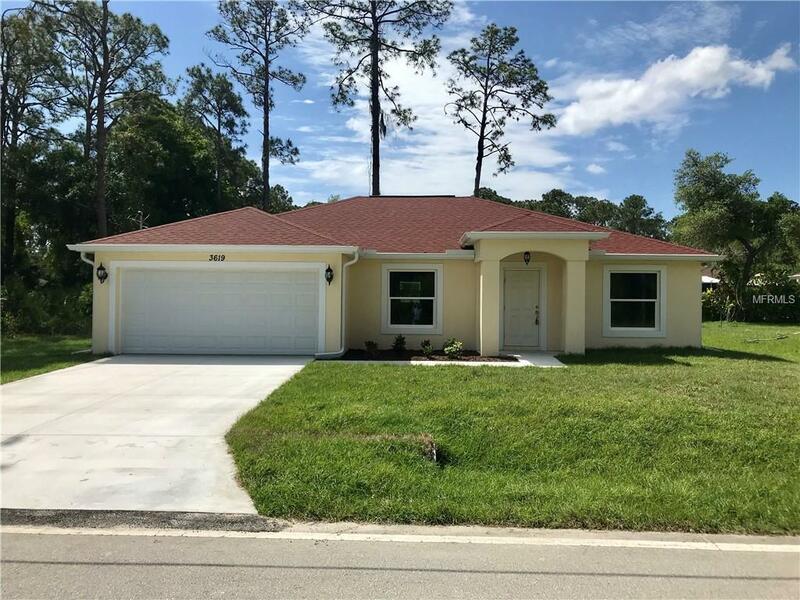 It is located in the fast growing city of North Port, on a premium lot with room for a pool. 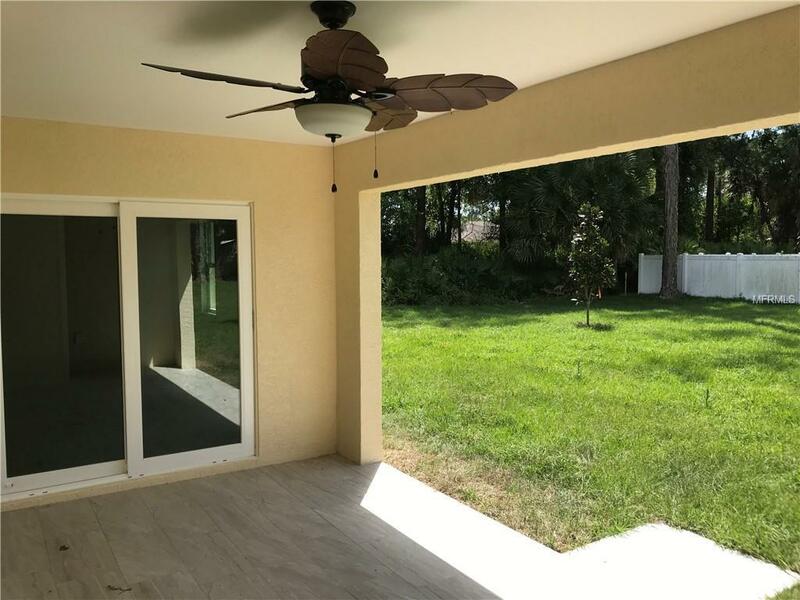 This property features ceramic tile floors throughout for easy maintenance, impact windows and all sliding doors, which do not need hurricane shutters and create naturally lighter rooms. The living area is expansive and has a large sliding glass doors, which open up to the lanai. The tiled lanai is under one roof with the house. The kitchen has granite counter tops, and tiled back splash. 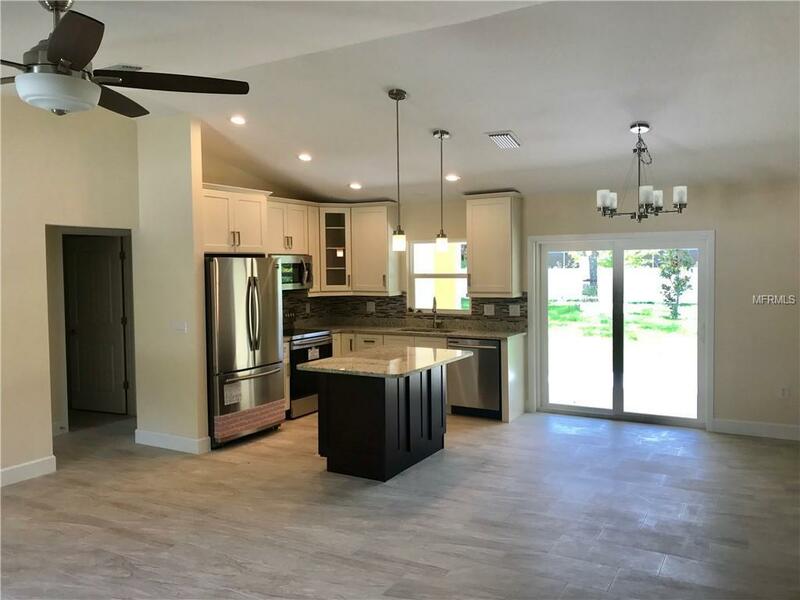 The kitchen also features 42 inches soft closing wood cabinets, upgraded stainless steel appliances, and a center island overlooking the living and dining area. The master bedroom has a walk in closet, and sliding doors that lead to the lanai. The master bathroom has a walk in shower and separate his and her sinks. Both the master and guest bathrooms have full-length tiled shower walls. There is also a linen closet in the hall (between two guest bedrooms), and an inside laundry room with a sink and shelf. The garage has an attic with easy access through pull-down stairs. 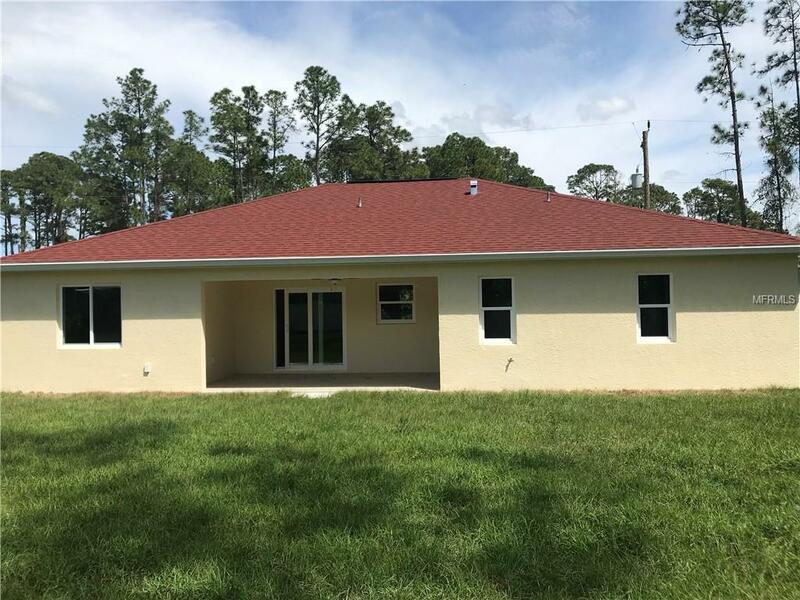 Other features of this home include: seamless gutters with downspouts around the entire home, upgraded AC, granite windows sills. There is a 1 year standard builder warranty and 2-10 year Bonded Builders Warranty.